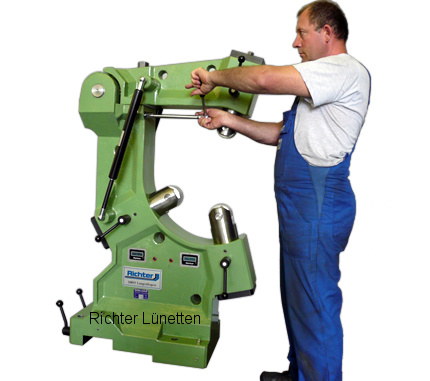 A C-Form Steady Rest is capable to hold big diameters in small workspaces. The collapsible top easily reaches narrow seats near flanges or on crank shafts. Gas springs makes it easy to open and close the rigid top by hand. A time saving feature!